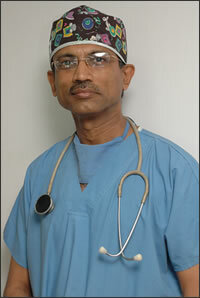 Dr. Mahdevia is a qualified plastic surgeon with good experience in hair restoration, he has experience of 21 years. He is also a member of most acknowledged international organization ISHRS and has also earned membership of FUE Society Asian Association of Hair Restoration Surgeons (AASRS) along with Association of Hair Restoration Surgeons of India (AHRS). Dr.M Hair Transplant Clinic (Dr. Mahadevia Bishan) in India, is running under the able guidance of Dr. Mahadevia. Dr. Mahadevia was trained under the leaders in the field of hair restoration treatment like Jung Chul Kim of South Korea. He is a qualified Plastic Surgeon with focused interest in Hair Restoration and was a Gold Medallist in his Surgical Training. His 21 years of long experience and domain expertise along with dedication has brought Dr. Mahadevia amongst the triumphant hair transplant surgeons. He makes use of Pre made incision Technique and avoids even micro trauma to the follicles. He use all Follicular grafts, which offer swift scientific and artistic effect in hair loss treatment. He also makes use of Wet technique to ensure the grafts remain moist at the time of implantation procedure. Gold Medallist in his Surgical Training. Member of ISHRS ( International Society of Hair Restoration Surgery). Membership of Association of Hair Restoration Surgeons of India (AHRS). Dr. Mahadevia Hair Transplant Clinic is situated at Ahmedabad in Gujarat (India), the Dr.M Hair Transplant Clinic (Dr. Mahadevia Bishan) is the place where you will get the international quality hair treatment at affordable fee. Our clinic is fully incorporated with latest technologically equipments that assist us in offering the quality treatment to the patients. With the acute knowledge of Dr. Mahadevia who is a qualified plastic surgeon with good experience in hair restoration, the clinic has attained a respectable position in medical field. We use different techniques for hair transplantation, which includes Follicular Unit Transplant, Body Hair Transplant and Follicular Unit Extraction. Dr. Mahadevias specially designed Hair Transplant Table composes your experience with comfort. We have a committed team that assists in giving you a pleasant experience of your life in an affable environment. Our proprietor Dr. Mahadevia possess strong knowledge of hair treatment, which he has attained by visiting and interacting with the leading doctors of UK, Brazil, Spain, USA, Amsterdam, Korea, Japan, Poland, Australia and Turkey.